Are you looking for a cheap website design company? 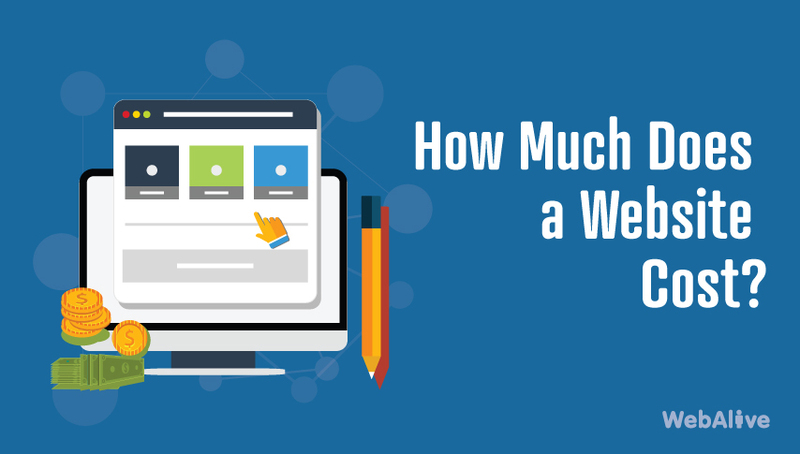 In this article, we’ll explain why the cost of a website varies a lot from agency to agency. We’ll also discuss why having a cheap website will do more harm than good to your business. Not ready to spend much on a fancy website? Jump to the What should you do? section below, and learn how to find the right balance between quality and affordability. But first, let’s have a look at some common reasons why you might be thinking about hiring a cheap web design agency. This is, of course, the most common reason why people go for cheap website designs. You believe you need a website for your business, but you don’t want it to cost you that much. So you are looking for the most affordable web design company, without considering the quality you might be getting. Many small business owners don’t consider websites to be an effective conversion tool. They are reluctant to spend much money. 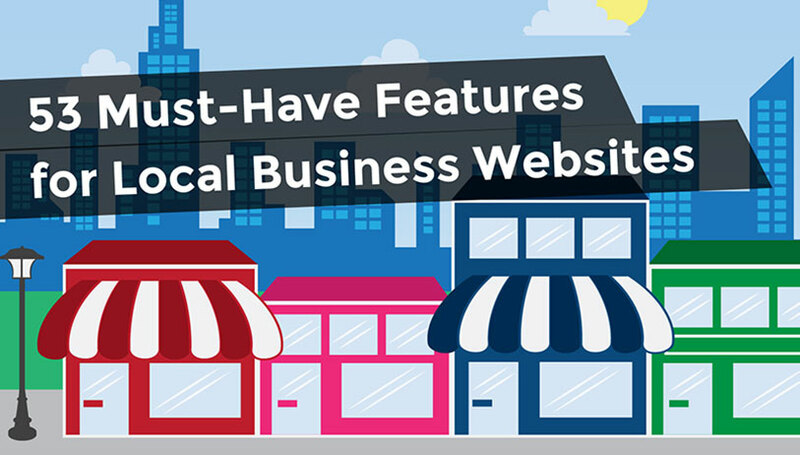 In reality, a small business website with the right features can bring you more customers than you would think. Some newer businesses consider social media to be their primary sales channel. If you are in this group, then you might assume spending on web design is a waste of money. While it’s true that social media can be a powerful channel for selling your products, you shouldn’t rely on these platforms to form the core of your online presence. Many web design services promise to deliver a quality website at a lower than market price. You may have found one of these low cost web design agencies and been convinced by their offer. After all, if someone is providing you affordable website designs, why bother looking elsewhere? We understand that getting a new website at a discounted price seems like a bargain. But before making the final decision, read this article to learn how to choose an affordable web design company for your business. Web design is a competitive industry. Even established agencies have to compete every day to secure new projects. Web design companies must therefore try their best to be affordable for their customers without sacrificing quality. Then how can some agencies work for a much lower fee than usual? This isn’t necessarily a bad thing; there are skilled designers and developers all around the world. But cheap website design companies often hand over your projects to low-quality offshore workers. There’s a lot inside a working website that isn’t apparent from the outside. Low cost website design companies ignore these small but crucial requirements and best practices. Cheap websites are often built by editing a pre-set template. The design company just changes a few visual elements and pieces of content and then sells it to you as a brand new website. Building websites using templates is quite a common practice, but these agencies won’t customise your site enough, resulting in a website that looks copied and unoriginal. A quality website isn’t a one-time investment. As your business and market changes, your site will need refinements. Cheap websites don’t have the customisation options necessary to support your business’ growth. This lack of extensibility will make these sites redundant very quickly. After a website is built and handed over to you, there will still be a lot of issues to deal with. Going forward, you might need to communicate with the support team. Cheap website design agencies don’t invest in after-sales support; for most of them, long-term client support is non-existent. So now you know how some web design companies can build your website for way less than others. Let’s consider some problems you might face when choosing these cheap web design services. A website is a lot more than its looks. If your site has a poor UX, potential customers won’t convert. If its internal structure isn’t SEO friendly, you’ll have a hard time getting new visitors. Cheap websites aren’t optimised for performance. Being built by unskilled developers, these sites suffer from poor code structure. As time goes on, you’ll find it extremely difficult to add new features to your site. Bloated with patched-up codes, maintaining your site will cost you a lot more in the long run. Getting a website built on a pre-set template makes it look like a thousand others on the web. A generic website has a dull and ineffective online presence; your site should be unique, with a distinctive brand image. Cheap website designers will disregard or fail to follow security best practices. As a result, you may experience security breaches and could even lose control of your site. Getting hacked will tarnish the brand image of any business, but for an ecommerce site, it could well be catastrophic. Having sold you a site for very little of money, the cheap web design companies don’t feel any responsibility to help you with the problems that you may face regarding your website. Poor after-sales support is very common in these companies. All you can do is leave a bad review about their service. But they don’t bother much about their brand image either. It may sound counter-intuitive, but it’s true. Maintaining a low quality website involves a lot more hassle than you might imagine. You have almost certainly come across some of these sites. Ones that have misaligned elements when viewed on mobile phones. Even worse, they may have used poor coding, which makes the site appear broken on certain devices. Cheap web design companies will often push you to their preferred hosting options. Cheap web hosting may put less pressure on your pocket, but it also provides you with less bandwidth. The result is a slower site, and a very poor user experience. Issues like these aren’t evident at the beginning. But as time goes on, you’ll see more and more flaws. Fixing flaws like these will eventually cost you a lot more and lack of quality customer support will put you in an even more uncomfortable position. Eventually, you’ll need to seek help from a well-established web design company. And then you’ll hear your site is so poorly designed that you need a complete overhaul. The whole process will be a lot more affordable if you start with a trusted agency to begin with. You may be thinking that quality, affordable website design services don’t exist. But they don’t advertise themselves as cheap web design companies. A web design company that understands your business can tell you exactly what type of website you will need, and how much of a budget you will require. Investing in the right kind of site is never a waste of money. If you are a small business, you don’t need a website with enterprise-level functionality. If you are a big ecommerce company, then you better have a site that can compete in an international market. A fashion or beauty product site needs to focus more on visuals than the local municipality website. A reputed agency won’t charge you more by adding unnecessary features. Neither will they promise you the lowest price regardless of your requirements. Here’s how to find the right web design company for your business, at an affordable price. Pre-set web design packages will often cost you more than a custom price. A package may include the cost of features that your site doesn’t need. Ask if the company offers custom pricing. If you are a local business, then choose a web design agency that works with small and medium sized businesses. Working with a design agency that services Fortune 500 companies will definitely cost a lot. A small or medium business doesn’t need to go through the same elaborate design process as these big companies. If you are a business in Australia, then try to find an affordable web design agency that works with Australian businesses. That doesn’t mean you should just search for cheap website design Australia in Google. Don’t forget the criteria we’ve mentioned in the above points. A local agency will better understand your business and customers. They will know what kinds of website designs are performing well among your target demographics, and your money won’t be wasted on designs that don’t convert. Helpful after-sales customer care will save you time and money, not to mention stress. Ask the design agency if they can introduce you to a dedicated manager for your project. Also, enquire about their after-sales support policy. This will help you cut a lot of unexpected costs in the future. Be careful when dealing with agencies that offer things like free logo design or cheap hosting packages with their cheap, so-called professional websites. A company claiming to provide the cheapest website design service and promoting free offers likely lacks experienced designers and developers. They are trying to cover up their lack of expertise by keeping their prices below average. These agencies are very affordable to begin with, but as we have mentioned before, a poor website will cost you a lot in the long run. If you’re thinking you want to hire a cheap website design company, it’s time to think again. The wiser choice is an established agency that understands your business well, provides excellent customer support, and can help you in the future. A website is not a one-off deal. Any successful site needs periodical refinements as your business grows. A cheap web design company may cost you less at the beginning, but poorly designed websites will cost you a lot more in the end. Add in low conversion rates and the devaluation of your brand, and you can see why it’s essential to avoid cheap web design services. Working with well-established agencies doesn’t have to be expensive. They can give you an honest estimate of the total cost. Many reputed agencies provide quite affordable web design services for small to medium-sized businesses. The money you spend on designing your website is an investment. And you can ensure a healthy return on that investment by selecting the right web design company. We are currently looking for an affordable company and have had trouble understanding the range of pricing, often wide, we are finding from seemingly similar design companies. This was a helpful article in that regard thanks so much.